This super smart, light and durable watch is perfect for those who are constantly on the go or lead an active lifestyle. The comfortable and adjustable rubber strap sits securely on your wrist, while the watch itself comes with a range of fantastic features (see below). Get a stylish smart watch. Plus a pedometer, barometer, stop watch, altimeter and much more! 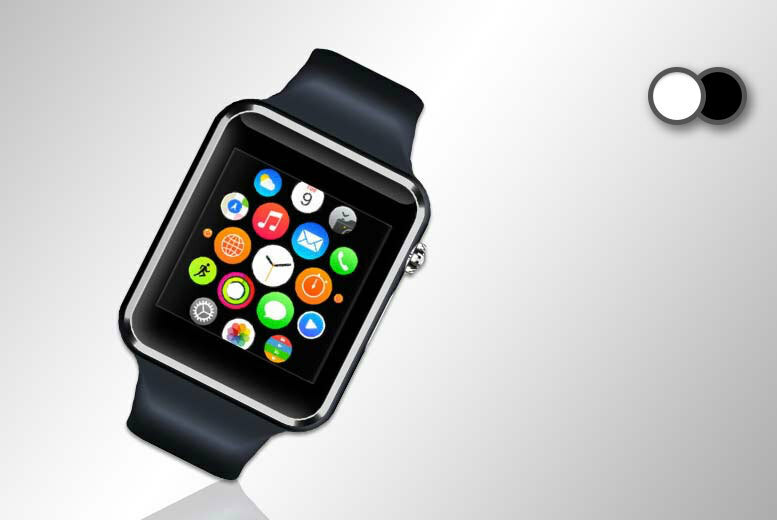 Get a D709 stylish smart watch. With a 128+64MB inbuilt memory. A 1.3MP camera for video calls. Powerful MTK6260A processor ensures a stable performance. Plus a pedometer, sleep monitor, anti-lost function and much more! Today’s Groupon offers a TomTom Spark 3 GPS fitness watch for £119.99. 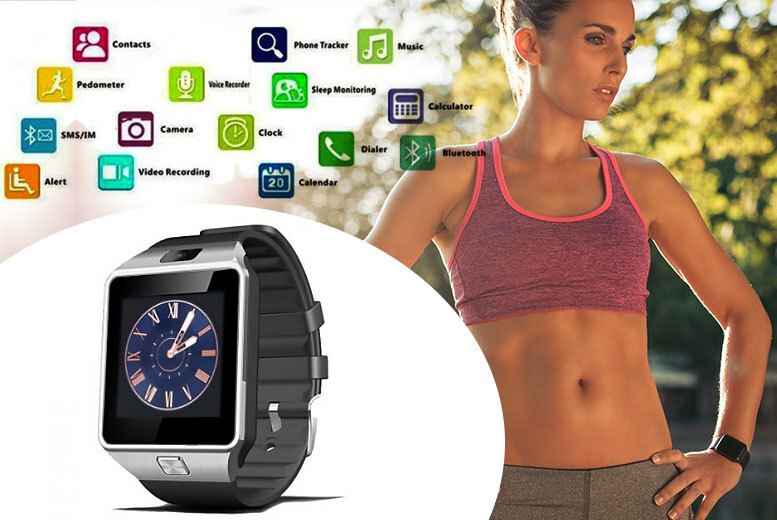 This 15-in-1 smartwatch connects via Bluetooth to your Android handset, pulling through notifications including messages and incoming calls and allowing you to control music remotely. 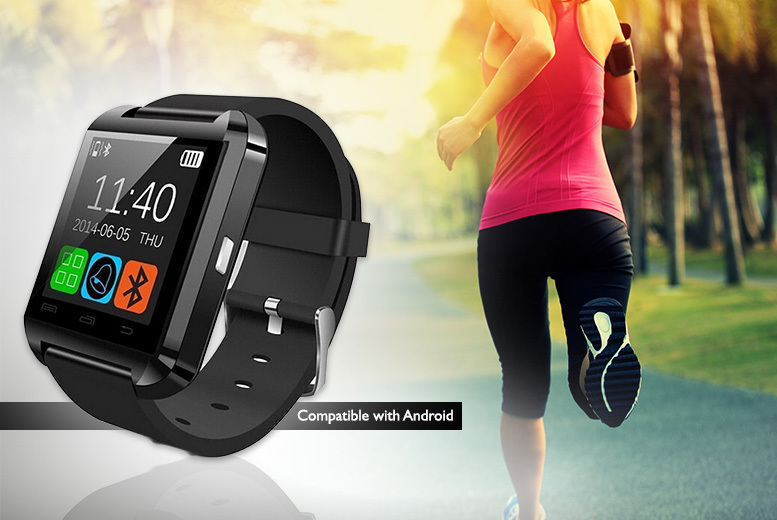 Get an Android 15-in-1 smartwatch. Bluetooth connects to your handset. Make calls using the watch itself! Pulls through notifications including messages and incoming calls. Or use directly with a SIM card and up to 32GB expandable memory. Enjoy the browser, pedometer, recorder, sleep monitor and calendar. Also a camera (2MP) with video recording, MP3 player, and FM radio.